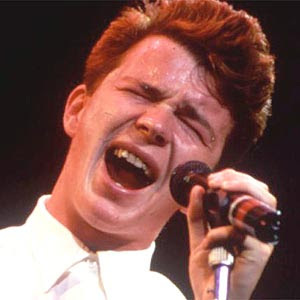 Sure, Rick Astley’s Never Gonna Give You Up has turned into an online phenomena, viewed more than 12 million times. But how did it get there? Razorfish has launched a new patented slice of code that can track the exact paths things take when they go viral online. Think of it as a GPS tracking system for your message, monitoring movement online from generation 1 to 2 to 35 and mapping the key social influencers within the web most helpful in distribution. For example, the recent JC Penney doghouse ad sent a jewelry promo via video to millions of guys who usually buy stupid presents for their wives or girlfriends. It was funny. We got it from our father-in-law and laughed. But how does JC Penney know how important we are in the chain or how many friends we sent it to ourselves? The Razorfish Incrementing Action Tag solves this by tracing a family tree for every person beneath you, just like your future children, who downloads and passes along your communication gene. The tag uses an anonymous cookie on the computer and does not capture user personal information; but marketers can pinpoint clusters of behavior inside the viral dissemination — you know, the cool kid in Des Moines who at contact level 4 suddenly made your message reach 10 million people. Based on this knowledge, you can then fire your marketing director, hire the cool kid from Iowa, and use him to advertise in the future for free. Or something like that. Anyway, Razorfish, nicely done.